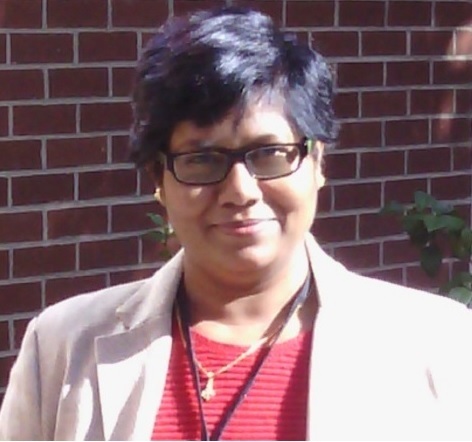 Domestic focus: My research interests include understanding patterns and processes of racial/ethnic residential intermixing/segregation, poverty, income inequality and socio-economic disparity within the urban context of USA, India and the developing world. Within USA, major research has explored understanding the influence of contemporary housing market elements on residential choice(s) and how might the market-makers impact segregation and/or intermixing at inter-urban and intra-urban spaces. I have conducted research on mid-sized metropolises of the Midwest (USA) as well as in the American Southeast, using a mix of quantitative, qualitative and mixed-methods approaches. In exploring the patterns and processes of intermixing/segregation, diversity and economic opportunities, my use of mixed-methods approaches has utilized publicly available data sources (e.g., the U.S Census, Economic Census, BLS, Health statistics, and the like). In using a variety of statistical methods, along with qualitative tools such as in-depth/open-ended/semi-structured interviews, household/individual surveys, participatory urban/rural appraisal techniques, community resource/GIS mapping, I have approached various research questions to add a holistic understanding and the nuanced perspectives on the dynamic socio-economic and political processes that create spaces of difference. More recently my focus has been expanding to measure the impacts of poverty and income divide between the richest and the poorest segments in our society on the eventual health outcomes (physical, emotional, physiological) of people across various racial/ethnic, gender and classes. In approaching this issue of health disparity across space, I am particularly interested in understanding the complex ways in which race/ethnicity, class, gender, social & human capital, spatial accessibility, policies and group-based culture interact with each other in affecting health outcomes of people. While race/ethnicity and class/income can be somehow linked to unequal access to health, the variations of cultural context along with social/human capital can also differently affect human behavior that affect their health outcomes and this can contribute toward the spatial differences in health outcomes within USA and in other parts of the world. International focus: I have explored the role of informal economy in shaping the residential (and commercial) spaces in urban areas of India. This includes examining how the labor engaged in informal economy make decisions concerning domestic and cross-border migrations and how those decisions create distinct spaces of poverty, slums and urban villages in intra-urban spaces. Domestic and international migration within the context of South Asia affects both genders, and in particular these economic processes have been affecting the society at large, but also introducing elements if unsafe spaces for women and children. My future research will be informed by issues of child labor and gender inequalities across South Asia regions and also in English speaking countries of Africa and other regions from the developing world. In particular, the issues of growing economic and social polarization, informal economy, gender participation in economy and gender health and violence, domestic and cross-border (legal/illegal) migrations are issues that I greatly care about. I am interested in graduate students who have research interests on similar and related socio-economic issues in the developing world. Students’ mentoring: I am particularly interested in recruiting graduate students whose research focus aligns with the various research focus/issues shown above. Having decent level of writing skills (and focused motivation) along with reasonable knowledge of statistics, GIS, and/or qualitative mixed-methods are crucial for success in our Masters/Ph.D. program.